Wildfire burned more than 10 million acres in the United States in 2015, and cost over $2 billion to suppress. There were 23 million landscape fires around the world between 2002 and 2013, and researchers define 478 of them as extreme wildfire events. Increasingly dangerous fire weather is forecast as the global footprint of extreme fires expands. The intense wildfires that swept through the Smoky Mountains in Tennessee late last month were a tragic melding of the past and the future. The fast-moving, wind-whipped blazes that burned more than 150,000 acres, killed fourteen people and damaged 2,400 structures in Gatlinburg and Sevier County may be a portent of things to come. Wildfires raged recently through the foothills of Tennessee’s Great Smoky Mountains, fueled by severe drought and high winds in the eastern part of the state. The fires damaged or destroyed more than 1,400 structures, including homes, chapels, and resort cabins. Fourteen people were killed, and nearly 150 others were injured. Last week, two juveniles were taken into custody and charged with aggravated arson in connection with the deadly wildfires – but sources such as Climate Central suggested that rising temperatures may have played a role in the fires. Does climate change play a role in determining the frequency and intensity of wildfires? Researchers at the University of Western Australia are developing a new touchscreen device that can be mounted in a fire truck to help firefighters predict where and when a bushfire will spread. The researchers are modifying bushfire simulation software Australis into a high-end tablet to provide accurate predictions of fire behavior more rapidly than current methods. Human-induced climate change has doubled the area affected by forest fires in the U.S. West over the last thirty years. Scientists say that since 1984, heightened temperatures and resulting aridity have caused fires to spread across an additional 16,000 square miles than they otherwise would have — an area larger than the states of Massachusetts and Connecticut combined. 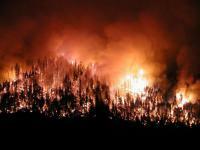 The scientists warn that further warming will increase fire exponentially in coming decades. In the first comprehensive work of its kind, a Michigan State University criminologist has completed a study on the implementation and outcomes of public safety consolidation — the merging of a city’s police and fire departments. The study finds that while public safety consolidation can work well for some communities, it is not the best solution for others. Every year, about 350 million hectares of land are devastated by fires worldwide. This corresponds to about the size of India. To estimate the resulting damage to human health and economy, precise prognosis of the future development of fires is of crucial importance. Previous studies often considered climate change to be the most important factor. Now, a group of scientists has found that population development has the same impact at least. In recent years wildfire seasons in the western United States have become so intense that many of us who make our home in dry, fire-prone areas are grappling with how to live with fire. 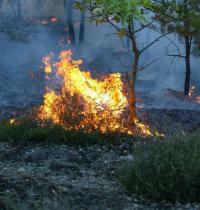 We know that fuel reduction in dry forests can mitigate the effects of wildfires. After decades of fire exclusion, dense and dry forests with heavy accumulations of fuel and understory vegetation often need to be treated with a combination of thinning and prescribed burning. Native peoples, less than 150 years ago, proactively burned the landscapes we currently inhabit – for personal safety, food production, and enhanced forage for deer and elk. In some places, people still maintain and use traditional fire knowledge. As we too learn to be more fire-adapted, we need to embrace fire not only as an ongoing problem but an essential part of the solution. 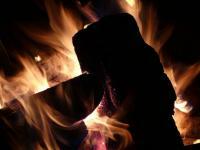 Fire has been an important part of the Earth System for over 350 million years, but humans are the only animals to have used and controlled fire. The complex interrelationships between fire and mankind transcend international borders and disciplinary boundaries. The specter of climate change highlights the need to improve our understanding of these relationships across space and time. The same twenty-first century communications network used for real-time seismic monitoring in Nevada and parts of California can provide high-quality images to help first responders catch fires before they grow costly and dangerous. Experts say that seismic networks in place to provide earthquake early warning, if designed to sustain multi-hazard monitoring, can provide a robust data backbone for fire cameras that pan, tilt and zoom as they monitor wildfires and other extreme weather events like remote floods. Cities and tourist areas such as Catalonia, Madrid, and Valencia are among those most at risk of catastrophic damage from wildfires in Europe, according to research. An international research team has put together a map using satellite data that details the countries in Europe with the highest likelihood of experiencing wildfire damage — with large fires occurring more frequently near “Wildland-Urban Interface” WUI areas in the countries of Albania, Bulgaria, Cyprus, France, Italy, and Spain. The landscapes in which many of us live would have been unimaginable to previous generations. We now have skyscrapers so striking and tall they would make Icarus turn pale. Yet in emergency situations, our seemingly brilliant designs sometimes turn against us – and become death traps when disaster strikes. There is a major problem with the way we evaluate the safety of the structures in which we live and work. Until we address it, our chances of survival are a little like those of the characters from Greek legend – in the lap of the gods. In February 2011, three fires raged through suburban areas outside of Amarillo, Texas, at the wildland urban interface (WUI), the area where residential communities and undeveloped wildlands meet. A new report by the National Institute of Standards and Technology (NIST) describes how researchers analyzed a major 2011 Texas wildland fire using a rigorous and scientifically based post-fire data collection approach, a system they believe will lead to improved defensive measures and strategies for significantly reducing structural damage and property loss.